2016 – Gabrielle Cliff Hodges – Harold Rosen lecture | D.A.R.E. The 9th Harold Rosen lecture, “Who’ll Tell the Story?”, was given by Gabrielle Cliff Hodges at the UKLA 2016 conference. Gabrielle is a former English teacher and Head of English, and is currently a University Senior Lecturer in Education at the University of Cambridge, where she leads the English PGCE programme. The lecture re-visited some of Harold Rosen’s powerful arguments in The Dramatic Mode (1980) and Stories and Meanings (1985) about why it matters that young people both create their own narratives in the classroom and engage with other people’s narratives as well. 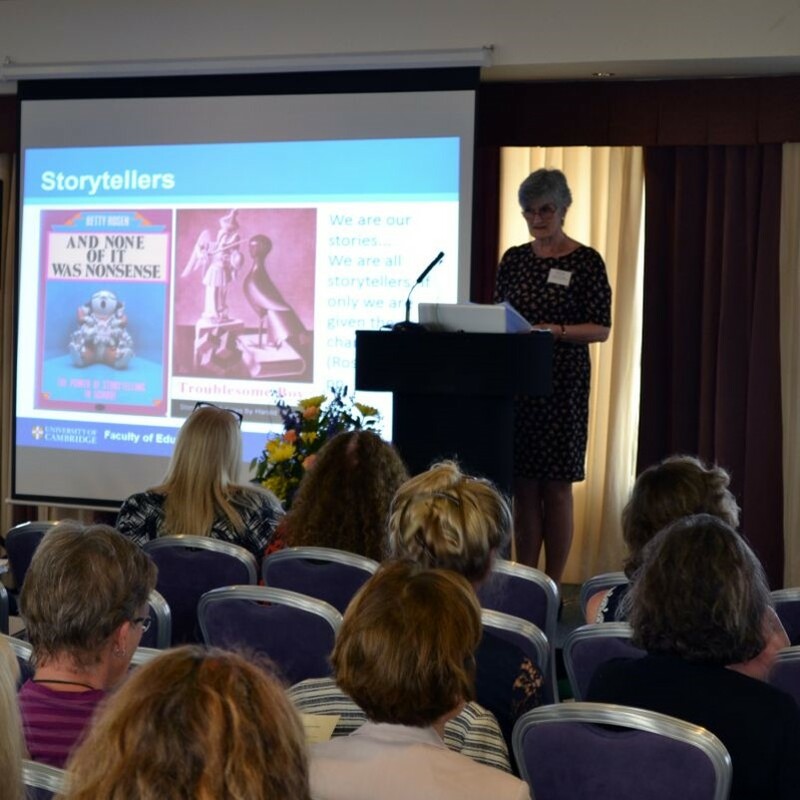 There was a focus on narrative texts within and beyond the school – oral and written stories, improvised drama, novels and films – including those created, chosen, told and read by young people themselves and within their families. The lecture also suggested arguments for teachers researching their own practice, especially through critically reflecting on and analysing rich data generated by what students draw, say or write about the role of narratives in their lives (e.g. in rivers of reading, small-group interviews and reading journals). Adopting some of the complex approaches afforded by qualitative research, for example those which theorise stories and reading from multiple perspectives such as the social, cultural, historical and spatial, can enable teacher-researchers to expand their pedagogies and help students to deepen their understanding. Finally, the lecture anticipated reasons why narratives – whether crafted in new or conventional media – might prove to be of ongoing value as the twenty-first century continues, considering in particular their potential contribution to sustainable futures for both young people and the teachers who educate them. Listen to the lecture below. Or – visit the UKLA site and listen there.